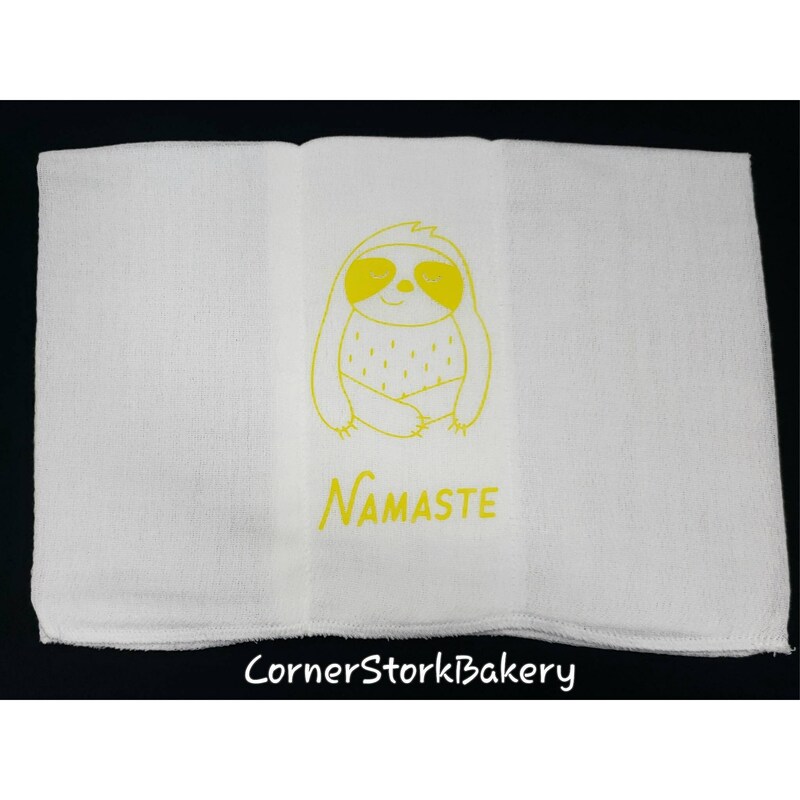 Sloth Namaste Burpcloth makes a cute little baby gift. • 1 Gerber white burpcloth with Sloth and Namaste in htv vinyl. * Please note that the primary color is the color choice of the htv vinyl. ☆ Need 2 or more? Send me a message and we can get your order started with a discount on the shipping fees. This can be custom made in many colors. Custom request is available. Send me a message and we can get your gift started.